Last week introduced us to the second X-Men universe television show (after the exceptional Legion) The Gifted on Fox. In this timeline (as there are many), the X-Men have been MIA for quite some time and many mutants are on their own. There are multiple federal agencies dedicated to apprehending and detaining “dangerous” mutants (which means all of them as at any time they could be dangerous). Very interesting is there are no Sentinel robots, but instead a government agency called “Sentinel Services” who are very much the bad guys. Lucky for most mutants, there’s a Mutant Underground that’s dedicated to helping as many mutants as possible avoid the authorities. We get to meet the Strucker family, headed by father Reed. He was a federal prosecutor who was responsible for prosecuting dangerous mutants, until he finds out his children have the X-Gene. Knowing what’s in store for his family, they go on the run, reach out to the Mutant Underground, and try their best to evade the authorities. Last week ended the Struckers now with the Mutant Underground on the run, expect for papa Reed as he was shot by the Sentinel Services as they teleported away. While the pilot episode of most shows is always outstanding (how else would they get to become ordered to a full series? ), how did the second episode go? The second episode accurately titled “rX” did not disappoint. Although there wasn’t as much action, the stakes for the show did not lower either. We get to see Reed use his legal muscles while dealing with Agent Turner and the Sentinel Services. 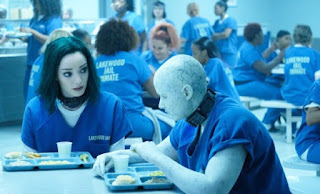 We also got to see the downside of using your mutant powers to their peak as Blink goes haywire, as well as what life’s like for a mutant convict in jail. The episode begins right after last week ended, with the Strucker family and members of the Mutant Underground escaping through Blink’s portal. The children Lauren and Andy and their mother Caitlin want to go back since Reed did not make it through. Marcos is even in agreement as he made a deal with Reed to get his girlfriend Polaris back (as she is also pregnant with his child), but all of that will have to wait. 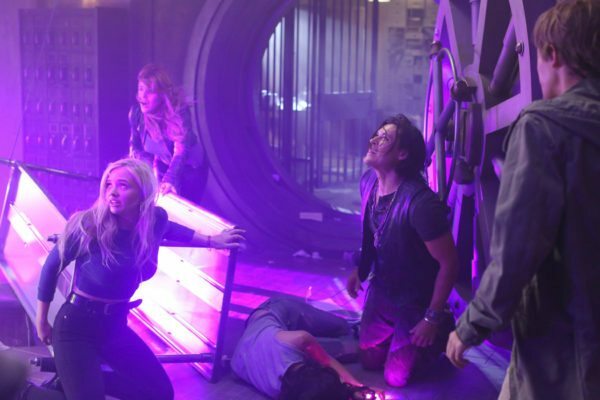 Blink has just used her powers to their peak potential in getting them out of harm's way, is not in a good place. She normally can teleport short distances, but now has taken not only herself, but 5 other people across miles to get back to their base of operations. For her, it’s the equivalent of a 12 round match with no training. To make matters worse, Blink starts having some sort of seizure where she opens portals to another place. The first time a piece of a car comes through and nearly takes everyone out (thanks to John Proudstar, his super density saves them from any real pain). They have to figure out how to help Blink as she’s opening portals, and alerting the authorities on the other side as well. Every time Blink randomly opens a portal, Lauren uses her powers to close it, but she’s a kid who also just learned how to use her power and she could also get exerted quickly too. In order to get Blink under control, they need someone with medical skills. Lucky for them, Caitlin’s a nurse. She opts to go with Marcos to a nearby hospital to get supplies needed to help her. Meanwhile, Reed is in the custody of Sentinel Services and is now on the receiving end of the law. He knows the game, so he cites all sorts of constitutional clauses stating that what they are doing to him is illegal, but Agent Turner is in full Patriot Act mode and does not care for his rights. Turner wants the Mutant Underground and is using every tool he can to get what he wants. He tries to invent charges, he even brings Reed’s mother in for questioning to intimidate him. The show continues to be a parable for immigration and terrorism and you can clearly see that in how they treat his mother. Because she participated in an anti-Apartheid rally in South Africa (in this reality mutants were also victims of Apartheid as well as South African blacks), which means in the eyes of the Sentinel Services (i.e. Homeland Security), she might be a terrorist. Reed’s back is against the wall as not only can he suffer, but so can his mother. Turner also reveals that his 7-year-old daughter was the victim of the “July 15th” mutant attack, so we know he’s out for his own brand of justice as well. We’ll just have to wait and see what that attack was about. During a flashback showing simple times, the Stuckers are out for a night of bowling with Reed’s mother when it is interrupted by some teen teasing a young mutant girl out with her father. The confused girl lashes out and her powers cause things to fly all over the place. Reed approaches the father, revealing he’s a federal prosecutor and tells them to leave before the authorities come. This show that even early then, he had a soft spot for some mutants. It also shows that his daughter Lauren (who was “in the closet” about her powers at the time) was questioning the laws as to why the mutant had to leave when she was the one being attacked. Polaris is also in jail and is finding out that “Mutant Is The New Black,” as she is not only “fresh meat” as a new inmate, but being a mutant doesn’t help her out at all. For one, she is wearing a shock collar, which incapacitates her if she uses he power, and as a result, she’s just as normal as anyone else there and subject to the politics of prison. She tries to befriend another mutant inmate with the hopes of escape, but that mutant wants nothing to do with her. She also catches the eyes of a shot caller in the prison who is not only in charge of other mutants, but seemingly all the girls in prison. She tries to stand up for herself, only to get savagely beaten by the woman and her soldiers. She even gets kicked in the stomach by them knowing that she’s pregnant. Polaris then uses her power no matter the pain to enact some justice against the leader by launching a table through her. This ends with her being placed in solitary confinement. Also, kudos for having her shower her black hair dye job off and reveal that she has the same green hair she had in the comics. 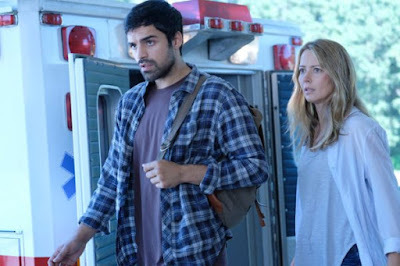 Marcos and Caitlin head to a mutant medical care center to try and get supplies for Blink. We get a strong parable to how those at “free clinics” get treated. Caitlin and Marcos go in under the guise of a couple and she has injured himself (from last week’s still untreated gunshot wound) via a “ladder accident.” She also has bruises from last week’s adventure (as well as Blink’s hectic teleportation), so the doctor automatically assumes this is a case of domestic violence. He even says to her that some think the idea of dating a mutant is “exciting” (another parable for dating someone “exotic” outside of one’s own race), but it is still dangerous. She assures the doctor that she is not a victim, but the doctor still goes to the police to try and arrest Marcos. This forces Caitlin to work against the clock to pretend to be a nurse and steal the necessary supplies and then escape. They barely escape the hospital and make it back to the Mutant Underground headquarters. Only now, it’s almost a war zone. Blink’s teleportations have become threatening to everyone there. Not only are SWAT teams gathering at the other end of the teleportation, but the whole place is coming across at the seams. Caitlin bravely goes into the building, even jumping through one of the random portals, and gives Blink the necessary dosage to stop her seizures. At this point, she has decided that she and her children are not going to escape to Mexico, they will instead remain with the Mutant Underground and rescue Reed as well as Polaris. At least for now, they have a new home and a new family. Meanwhile, Reed has flexed his legal muscle and reveals to Turner that he knows he doesn’t have much on him. He then tells him that he will strike a deal: he and his family will be immune from prosecution, and he will give them the Mutant Underground. Just as his wife and kids are now attached to their new friends, he will betray them (and by default, his family). 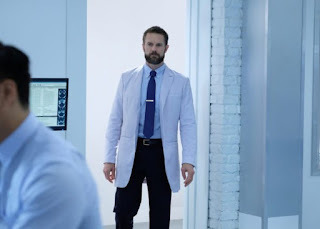 The episode ends up in some sort of lab where a lap assistant is talking to a scientist (played by Garret Dillahunt, so you KNOW he's evil) who states that an incident involving mutant siblings (who resemble Lauren and Andy) in Rio de Janeiro, which means the Struckers have a link in the past worth exploring.